When a golfer must lift his ball from the ground, he uses a marker. When a golfer must lift his ball from the ground, he uses a marker. 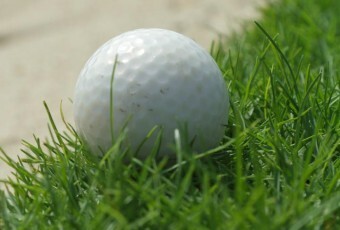 Normally, the need to pick up a ball is restricted to the green, but occasionally you may have to pick up a ball from elsewhere on the course to identify the ball, replace the ball if it is damaged, or — if the rules permit — to clean the ball. No matter the circumstance that causes a player to lift his ball, it must be marked properly.